The most important thing is to start with 'wood' from healthy plants. Next would be to sanitize the wood before and after sticking. I get close to 100% take with healthy plants and only half that with stressed plants or old varieties. Hope everyone can follow this. Pinch the tips out of new growth that you plan to stick a few weeks before. This allows the energy of the whole plant to kick in with growth hormones (to repair the damage-your pinch) and will increase your take. Use hard green to tan parts of the plant. 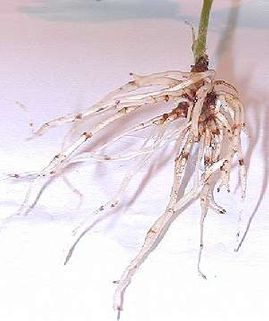 Four to six inches with at least three leaves cut back 2/3s (there is energy stored in the base of leaves to sustain the plant till it can produce roots) and stick it just deep enough that it can stand on it's own. Oasis cubes are good only if you have bottom heat (85 degrees) as it holds a lot of water. Most sterile well drained mixes will work. I used to use a mix of 50% peat and 50% perlite (do not breath the perlite dust - it is glass). Dip the cuttings in a bleach or peroxide solution and stick them. I do not use any Dip and Grow or leave them out for 24 hours but if it works for you, OK. More on the bleach mix later. I often have roots in four weeks but 6 is normal. While they are growing, it is best to mist them with a bleach or peroxide mixture as often as possible. At least a few times a week. Mine get this mist every ten minutes for a few seconds. If you have no bacteria or fungus, they cannot rot and will root! Why bottom heat? Several fungus and bacteria are more active under 60 degrees, that is why. Seedlings are especially easy to root as a rule. Old varieties that have been grafted often carry viruses or genes from the different root stock used that inhibits it's rootability. Yes, it sometimes effects blooms also. The same goes for stressed plants. I mention these factors as some have tried rooting and used old varieties and assumed it (rooting) just did not work well. One tablespoon of bleach to a gallon of water is strong enough to sanitize a commercial kitchen and will not hurt the plant. However, it must be used within a couple of hours or it starts losing it's power. Peroxide is used at 50% strength from peroxide bought off the shelf and it keeps it's power for several days. It also provides the roots with a little extra oxygen. 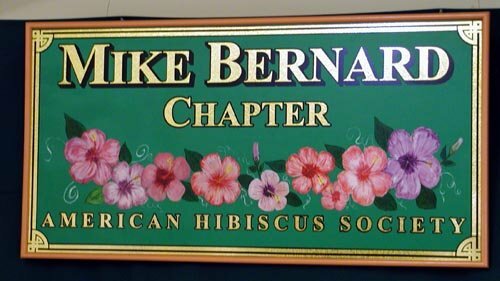 Most of my trays contain over 20 varieties of hibiscus as I strive to build inventories of hundreds of new varieties from hybridizers from all over. I often put a few cuttings in each tray from know rooters to act as a gage in case I get a bad take. The fact that so many trays with so many varieties get such a high take, means I am doing something right. Once in a while a variety just does not do well. That is OK, all part of the evaluation.